The US stock market closed higher with investors relieved that the midterm elections produced a clear result. 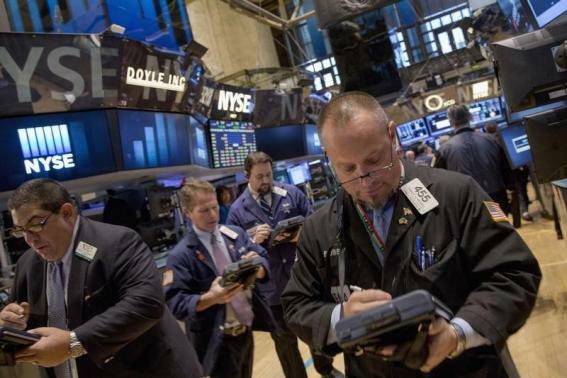 The Dow Jones and S&P 500 hit fresh records. Sentiment was also boosted by an upbeat jobs survey, raising hopes that the official payroll figures on Friday will be strong. The Dow Jones closed after adding 100.69 points at 17,484.53. The broad-based S&P 500 rose 11.47 points to 2,023.57 while the NASDAQ lost early gains and fell 2.91 points to 4,620.72. Energy shares rose on hopes that the Republican majority in the Senate could lead to new energy-friendly legislation. The midterm vote also boosted the dollar, which jumped to a seven-year high against the yen of 114.65 yen. Meanwhile, investors were impressed by a report from payroll processor ADP which said that private firms in the US added 230,000 jobs in October. This was ahead of forecasts and the largest increase since June. Among individual firms, shares in TripAdvisor dived 14% after the travel review website’s third quarter results fell short of expectations. Net income for the quarter fell to $54 million from $56 million a year earlier, following a big increase in marketing costs. Time Warner shares rose 4% after its third quarter profit and revenue beat expectations. It posted net income of $967 million with revenue up 3.3% to $6.24 billion.